Wow! Escape from the stress of every day life and enjoy being surrounded by nature. Lots are offered separately or as a combination. This is a 4 acre lot, the other is a 5.88 acres. 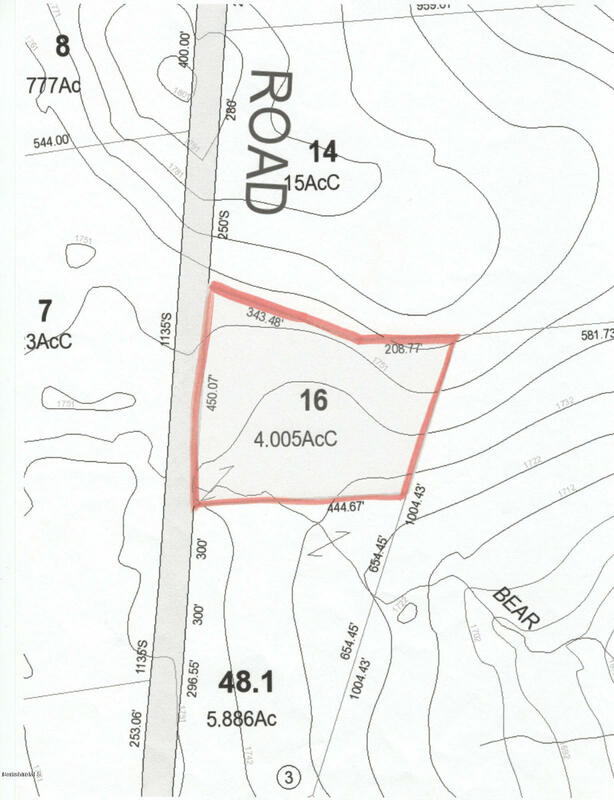 They are side by side on Chipman rd for a total of 9.88 Acres. Taxes are not $1, we are looking into the actual.Sklyine trail to Bell Rd to Arthur Pease Rd to Root Rd to Chipman. Take left on Chipman Rd Just past Cone Rd on the right where the road starts to bend. Mapping pin may not be accurate, it should be considered an approximate location.